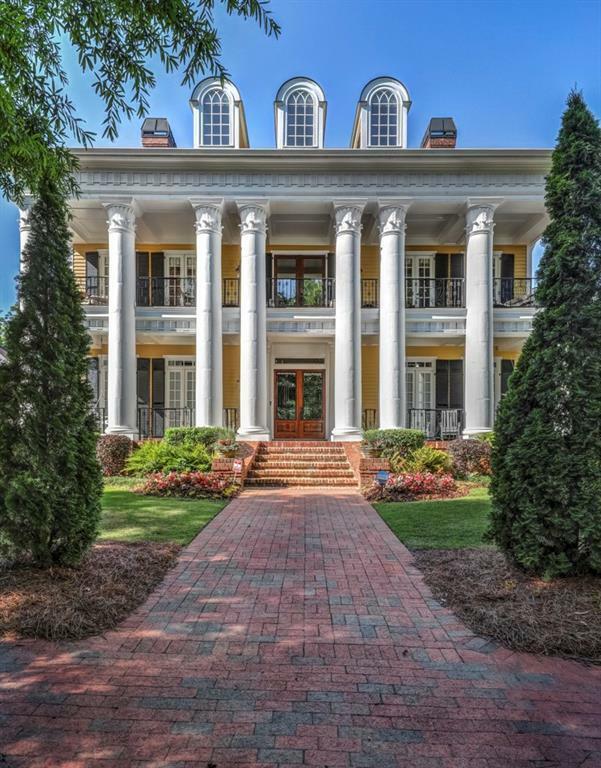 Luxurious & meticulously detailed entertainerâs Louisiana River Estate in gated Ellard!Offers privileged 139ft Chattahoochee access.Every flr w/views of river, salt water pool & pristine backyard w/outdoor fireplace, kitchen, Bocce ball Ct & walk-out access to fully lit riverside fire pit entmt area.Elevator, Grand Staircases,high ceilings, Maitland Smith light fixtures, full Gym & Massage rm!Imported wood & marble flrs. Ron Smith-designed Terrace w/decadent wine Cellar & Tasting rm.Relax in new 4th Flr Media rm. Rooftop widows walk. Being sold furnished.